Nothing like settling in to an evening of televised entertainment… courtesy of DIRECTV. 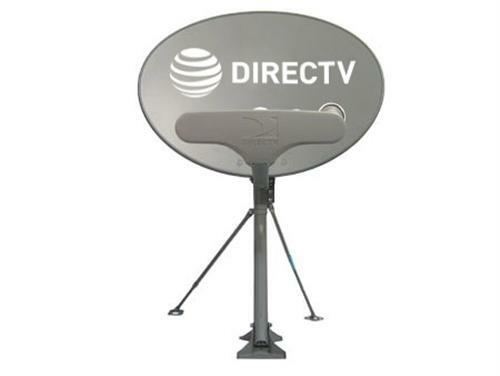 If you have DIRECTV service at home, there’s no reason not to put a DIRECTV dish on your RV as well. DIRECTV’s rules absolutely allow it, as long as no one is using the service at home while you’re using it out on the road. Since you’re not going to be home while you’re RV’ing, why not save the expense of another satellite receiver and just use one from home? It’s a good plan, right? If it says “SWiM Connected” then you have SWM technology. (If you have a Genie DVR with the new menus, you definitely have SWM technology.) From there, visit our RV Satellite Dishes page to find the one that best meets your budget, keeping in mind that you’ll want a SWM-enabled dish on the road if you have a SWM-enabled dish at home. There are simple systems that are easy to set up, self-aiming units and everything in between. Most of the newer self-aiming dishes have gone to SWM technology but if you aren’t sure, be sure to give us a call at Solid Signal… 1.877.312.4547 is the number.